Despite what you may be hearing, Arctic ice is not presently declining, a big disappointment to fear mongers. Something happened to cause a rapid decline in the decade 1998 to 2007, but since then the ice has been stable or slightly rising. The analysis below comes from the MASIE dataset, whose managers have no stated position on global warming, climate change, or the future of Arctic ice. 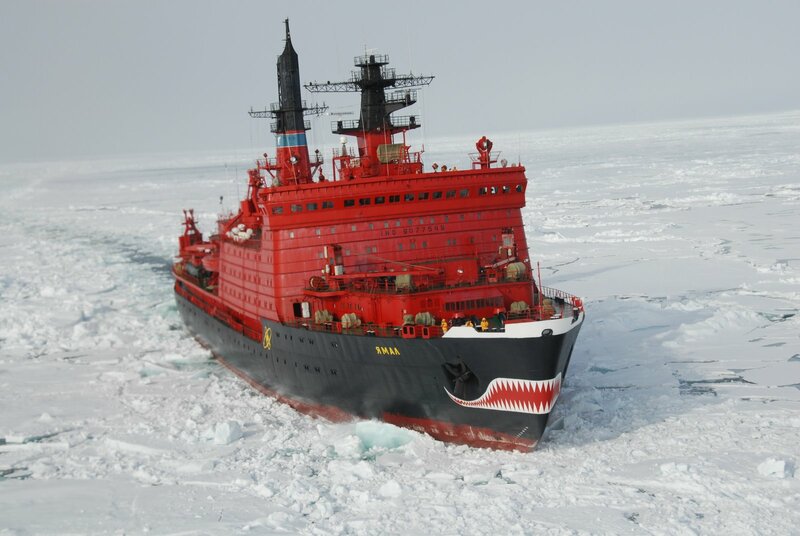 They simply report daily ice conditions for the safety of ships operating in Arctic seas. It is the highest resolution, most accurate report of daily ice conditions. MASIE historical records became available once NSIDC confirmed that the records have reasonable consistency starting with 2006. Arctic ice extents are cyclical with maximums occurring in March and the annual minimums in September. Autumn snowfall and winter weather affect the March ice, and September varies with warm and salty water circulations, cloudiness affecting brightness, and stormy weather breaking and compressing ice. The annual average of ice extent factors in fluctuations over the entire cycle. Since we are at the end of the melt season, the chart below takes 12 month averages starting Oct. 1 to display average annual ice extents for the last 11 years. The minimum occurred in 2007 at ~10.4 M km2 and all years have been higher than that, including 2006, 2012 and 2016 virtually tied at ~10.7 M km2. The trendline is descriptive, not predictive; that is, the line serves only to show the pattern in this brief history, the future could go higher or lower with equal uncertainty. It should be noted that the variability is quite constrained within +/- 0.4 M km2, or +/- 3% of the annual average. Also 5 years are above average, and 6 years are below. The chart below shows comparative measures of September ice extents. The red line is September 2007, which was the lowest in the last 10 years, except for 2012 which was hit by the great Arctic Cyclone. More importantly, 2007 had the smallest annual average ice extent in the MASIE record (since 2006). The blue line is the ten-year average for days in September (2006 to 2015 inclusive). MASIE 2015 is in purple, MASIE 2016 in green, and 2016 NOAA SII (Sea Ice Index) is in yellow. While the minimums all occurred days 260 to 262, 2007 extents were already trending lower, and presently the other measures are converging above average. With SII virtually tied with MASIE, that index will also be showing a September average ~ 4.5 M km2. 2016 is now slightly above average, having gone below the average annual minimum (4.6 M km2 on Sept. 16) for 17 days before regaining the lost ice. The table below shows the locations of ice among the various seas making up the Arctic Ocean. Day 273 is Sept. 30 most years; 2016 being a leap year is one day later. So the official 2016 results will benefit from an additional day of ice extent exceeding 5M km2. 2016 is above average with deficits mainly in Beaufort, Kara, and Greenland seas, offset by surpluses in Chukchi, Laptev and Central Arctic. Those claiming global warming is proved by declining Arctic ice are losing that line of evidence. Not only has it stopped declining, the evidence is growing that it varies over quasi-60 year cycles because of changes in water circulations, wind and weather. And some researchers think that the ice may continue to grow up and up in the near future. Crystal Serenity is planning for more future Arctic cruises, while Russia is planning for more icebreakers. I’ve been waiting for September 30 results to compare the monthly average for this year with previous ones. But the remarkable rate of refreezing in the Arctic needs reporting. MASIE counts ice extent using 40% coverage of 4k km2 grid cells, making it the highest resolution dataset. As well, it incorporates estimates from satellite passive microwave sensors, supplemented with satellite imagery and reports from buoys and ships. While the minimums all occurred days 260 to 262, 2007 extents were already trending lower, and presently the other four measures are converging. Since the September rate of regaining ice was at a decadal high in 2015, it is remarkable for 2016 to be improving on that. Since 2007 will end the month close to where it is now, we can project that 2016 monthly average will be considerably higher, likely to exceed also 2008. With SII virtually tied with MASIE, that index will also be showing a September average well over 4.4M km2. With 2016 ice extents surging, we can project that Arctic ice has continued on a flat or slightly increasing trendline with no evidence of a decline since 2007. The paper by Meier et al. is a good analysis, as far as it goes. In a post NOAA is Losing Arctic Ice I showed the gory details and brought the comparison up to date. Quixotic (“quick-sottic”)–meaning striving for visionary ideals. It is clear that climateers are similary engaged in some kind of heroic quest, like modern-day Don Quixotes. The only differences: They imagine a trace gas in the air is the enemy, and that windmills are our saviors. In theory, changes can be made to the system to allow the system to be more flexible. One such change is adding more long distance transmission, so that the variable electricity can be distributed over a wider area. This way the 10% to 15% operational reserve “cap” applies more broadly. Another approach is adding energy storage, so that excess electricity can be stored until needed later. A third approach is using a “smart grid” to make changes, such as turning off all air conditioners and hot water heaters when electricity supply is inadequate. All of these changes tend to be slow to implement and high in cost, relative to the amount of intermittent electricity that can be added because of their implementation. When solar energy is included in the mix of intermittent fuels, it also tends to reduce peak afternoon prices. Of course, these minute-by-minute prices don’t really flow back to the ultimate consumers, so it doesn’t affect their demand. Instead, these low prices simply lead to lower funds available to other electricity producers, most of whom cannot quickly modify electricity generation. The US Energy Information Administration prepared an estimate of certain types of subsidies (those provided by the federal government and targeted particularly at energy) for the year 2013. These amounted to a total of $11.3 billion for wind and solar combined. About 183.3 terawatts of wind and solar energy was sold during 2013, at a wholesale price of about 2.8 cents per kWh, leading to a total selling price of $5.1 billion dollars. If we add the wholesale price of $5.1 billion to the subsidy of $11.3 billion, we get a total of $16.4 billion paid to developers or used in special grid expansion programs. This subsidy amounts to 69% of the estimated total cost. Any subsidy from states, or from other government programs, would be in addition to the amount from this calculation. In a sense, these calculations do not show the full amount of subsidy. If renewables are to replace fossil fuels, they must pay taxes to governments, just as fossil fuel providers do now. Energy providers are supposed to provide “net energy” to the system. The way that they share this net energy with governments is by paying taxes of various kinds–income taxes, property taxes, and special taxes associated with extraction. If intermittent renewables are to replace fossil fuels, they need to provide tax revenue as well. Current subsidy calculations don’t consider the high taxes paid by fossil fuel providers, and the need to replace these taxes, if governments are to have adequate revenue. There is also the problem of the low profit levels for all of the other electricity providers, when intermittent renewables are allowed to sell their electricity whenever it becomes available. One potential solution is huge subsidies for other providers. Another is buying a lot of energy storage, so that energy from peaks can be saved and used when supply is low. A third solution is requiring that renewable energy providers curtail their production when it is not needed. Any of these solutions is likely to require subsidies. 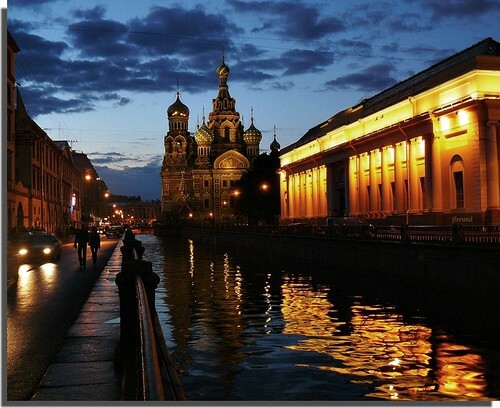 Few people have stopped to realize that intermittent electricity isn’t worth very much. 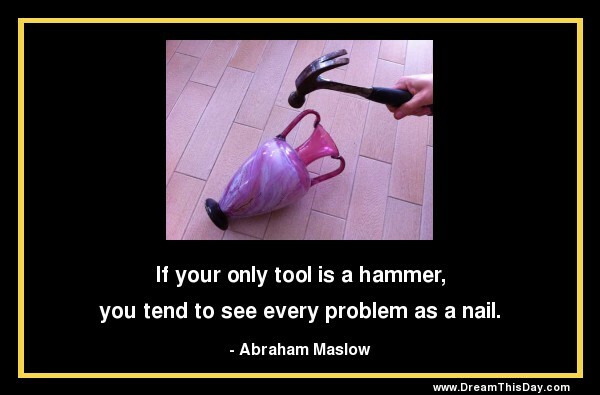 It may even have negative value, when the cost of all of the adjustments needed to make it useful are considered. Energy products are very different in “quality.” Intermittent electricity is of exceptionally low quality. The costs that intermittent electricity impose on the system need to be paid by someone else. This is a huge problem, especially as penetration levels start exceeding the 10% to 15% level that can be handled by operating reserves, and much more costly adjustments must be made to accommodate this energy. Even if wind turbines and solar panels could be produced for $0, it seems likely that the costs of working around the problems caused by intermittent electricity would be greater than the compensation that can be obtained to fix those problems. The economy does not perform well when the cost of energy products is very high. 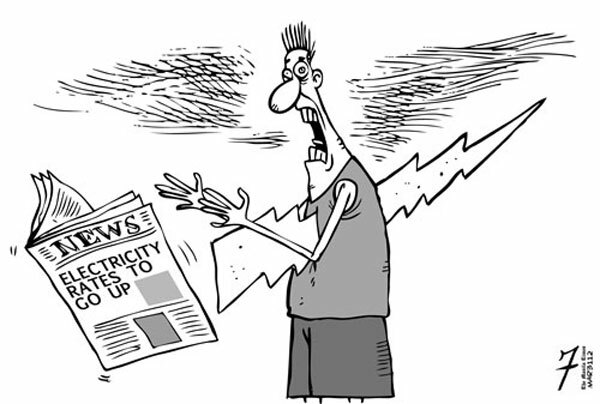 The situation with new electricity generation is similar. We need electricity products to be well-behaved (not act like drunk drivers) and low in cost, if they are to be successful in growing the economy. If we continue to add large amounts of intermittent electricity to the electric grid without paying attention to these problems, we run the risk of bringing the whole system down. 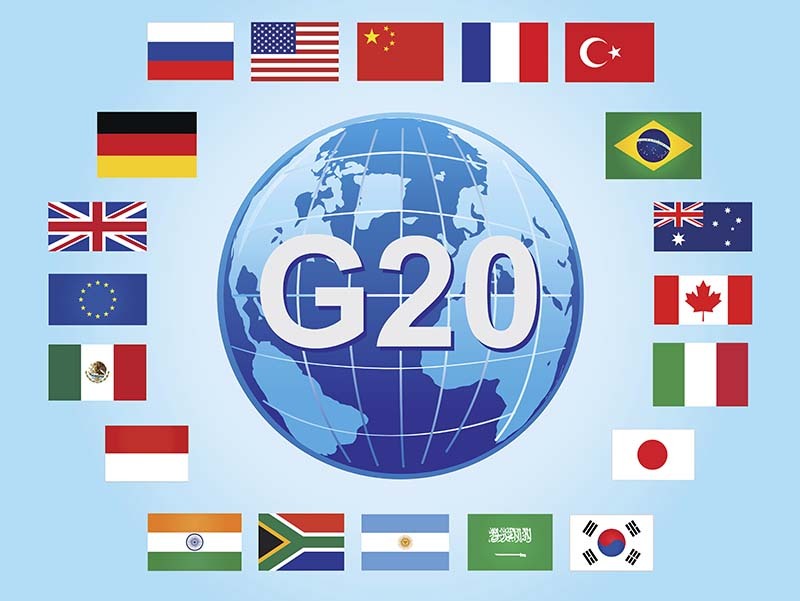 Figure 12: Figure 9 with Y-scale expanded to 100% and thermal generation included, illustrating the magnitude of the problem the G20 countries still face in decarbonizing their energy sectors. 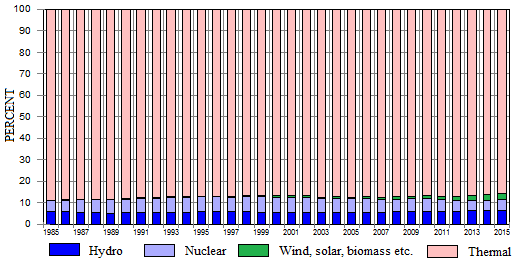 The requirement is ultimately to replace the red-shaded bars with shades of dark blue, light blue or green – presumably dominantly light blue because nuclear is presently the only practicable solution. There is another way. Adaptation means accepting the time-honored wisdom that weather and climates change in ways beyond our control. The future will have periods both cooler and warmer than the present and we must prepare for both contingencies. Colder conditions are the greater threat to human health and prosperity. The key priorities are robust infrastructures and reliable, affordable energy. 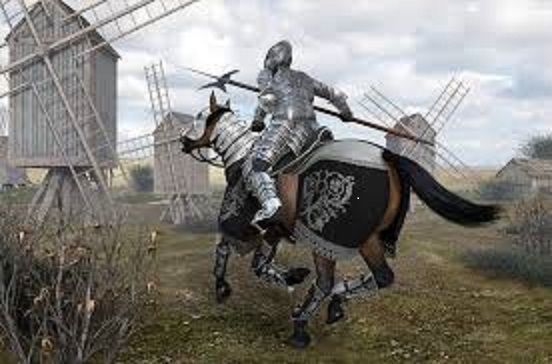 This video shows Don Quixote might have more success against modern windmills. Ban Ki-moon, Listen to the Masses! Over 10 million ordinary people have told the UN what matters most to them, and here are the results. According to this huge UN survey, good education, healthcare and jobs are far and away the top priorities. And way down at the bottom is “Action taken on climate change.” You would think that the UN Secretary-General would have many things on his plate, and even “Phone and Internet Access” comes ahead of climate change. Yet because Ki-moon is seeking a legacy in bringing the Paris accord into force, that last-place concern is at the top of his agenda. In a previous post Hammer and Nail I suggested that climate activists like Ban Ki-Moon are working on their own needs for esteem and self-actualization, while most of the world are struggling with the most basic needs. This survey proves that point, especially when charts show that only in richer, more developed countries does climate change rise a few steps above the bottom. 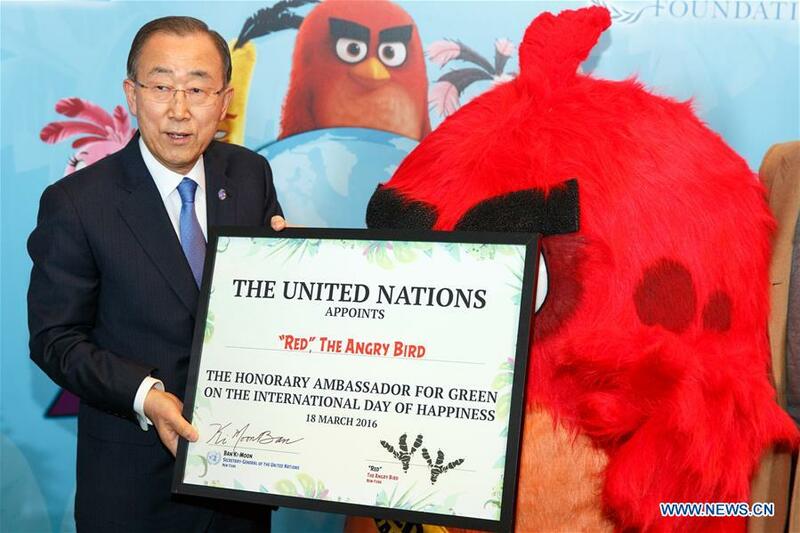 It could be argued that the Paris accord is not really action on climate change, just symbolism like the Angry Bird, but it is still a focus on the thing that matters least to the masses. This is a reblog of a post from dedicated environmentalist Michael Lewis which I am happy to put here following his comments. He does not agree with me on some matters and thinks I am too hard on environmental activists, ascribing nefarious motives that they do not have, in his opinion and experience. At the same time, we seem to share a view that the Global Warming bandwagon is detrimental to the environment by diverting time, effort and resources to fight an imaginary problem, while real and serious environmental and social degradations and threats are not adequately addressed. I appreciate his position particularly because it discredits the lie that global warming skeptics are all uncaring capitalists and big oil shills. 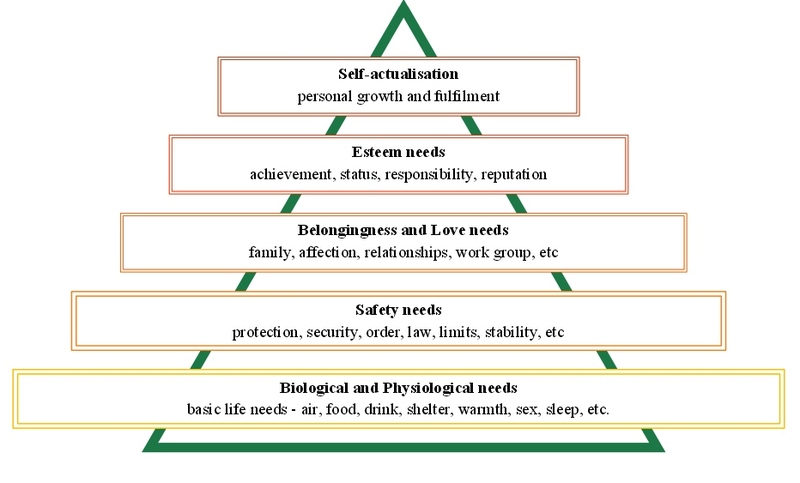 I especially like the quote from Maslow, whose hierarchy of human needs contributed much to organizational sociology and motivational management. In the interest of singing from the same hymnbook, here is Between the Hammer and Nail from Michael Lewis. Yes, I know everyone has jumped aboard the Global Warming bandwagon, hammered together the climate change apartment house and moved in lock stock and barrel to the CO2-causes-Climate-Change studio apartment. It’s a shame that such a ramshackle edifice dominates the climate science skyline. Climate change has become the cause celebre of modern thought and action, the hammer employed to bang on almost everything else. Every Progressive cause from highway congestion to homelessness simply must be cast in the glare of Climate Change and/or Global Warming. Every organization from the United Nations to my local County Board of Supervisors is invested in the concept as the source of funding for addressing all social ills. The basis for this totalitarian acceptance of human caused climate change, aka Anthropogenic Global Warming (AGW) is the theory of radiative forcing of atmospheric warming, the so-called Greenhouse Effect. 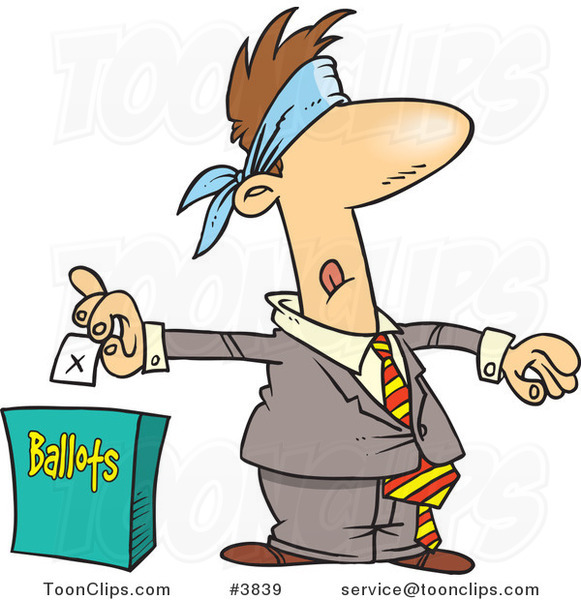 As we’ll see later, this is an instance of an attempt to prove an experiment by invoking a theory, rather than the accepted scientific process of proving a theory by experimentation and hypothesis testing. Carbon dioxide radiative forcing was first proposed by Joseph Fourier in 1824, demonstrated by experiment by John Tyndall in 1859, and quantified by Svante Arrhenius in 1896. The unfortunate and inaccurate descriptor “Greenhouse Effect” was first employed by Nils Gustaf Ekholm in 1901. The basic premise of the “Greenhouse Gas” theory is that greenhouse gases raise the temperature at the surface of the Earth higher than it would be without them (+33º C). Without these gases in the atmosphere (water vapor (0 to 4%), Carbon dioxide (0.0402%), Methane (0.000179%), Nitrous oxide (0.0000325%) and Fluorinated gases (0.000007%) life on this planet would be impossible. This basic theory is deployed to buttress the assumptions that increased atmospheric greenhouse gas concentrations (mainly CO2) cause increased global average surface temperature, and, therefore lowering atmospheric CO2 concentrations will reduce or even reverse increases in global average surface temperature. Let’s look at the observations and assumptions that have led to this erroneous conclusion. Observation – The calculated measure of global average surface temperature has increased by about 0.8° Celsius (1.4° Fahrenheit) since 1880. Assumption – Adding more CO2 to the atmosphere causes an increase in global average surface temperature. Assumption – Increase in global average surface temperature will cause changes in global climates that will be catastrophic for all life on Earth. Conclusion – Therefore, reducing human CO2 production will result in a reduction in atmospheric CO2 concentration and a consequent reduction in increase of global average surface temperature, stabilizing global climates and preventing catastrophic climate change. Items 1 and 2 are observations with which few climate scientists disagree, though there may be quibbles about the details. CO2 and temperature have both increased, since at least 1850. Items 3 and 4 are assumptions because there is no evidence to support them. The correlation between global average surface temperature and atmospheric CO2 concentration is not linear and it is not causal. 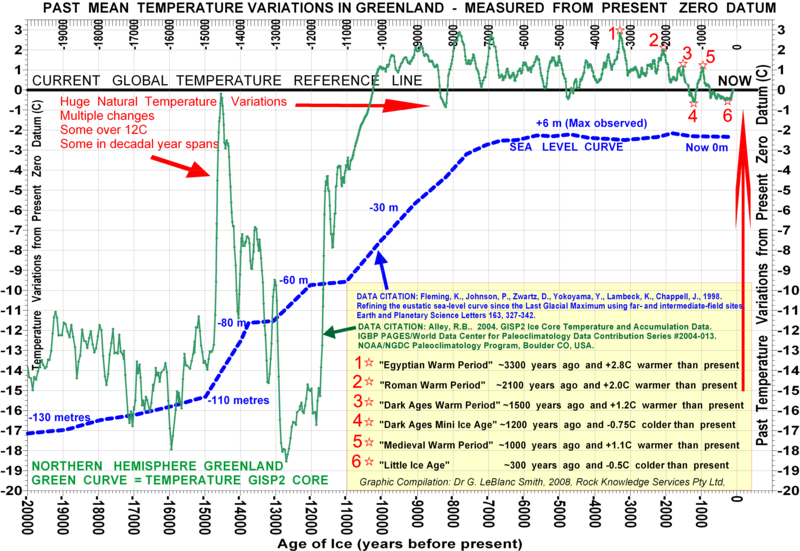 In fact, deep glacial ice cores record that historical increases in CO2 concentration have lagged behind temperature rise by 200 to 800 years, suggesting that, if anything, atmospheric CO2 increase is caused by increase in global average surface temperature. Nevertheless, the “consensus” pursued by global warming acolytes is that Svante Arrhenius’ 1896 “Greenhouse Gas” theory proves that rising CO2 causes rising temperature. However, in the scientific method, we do not employ a theory to prove an experiment. Since we have only one coupled ocean/atmosphere system to observe, the experiment in this case is the Earth itself, human CO2 production, naturally occurring climate variation, and observed changes in atmospheric CO2 and global average surface temperature. There is no control with which to compare observations, thus we can make no scientifically valid conclusions as to causation. If we had a second, identical planet earth to compare atmospheric changes in the absence of human produced CO2, we would be able to reach valid conclusions about the role of CO2 in observed climate variation, and we would have an opportunity to weigh other causes of climate variation shared by the two systems. To escape from our precarious position between the hammer and the nail, we should understand all possible causal factors, human caused, naturally occurring, from within and from without the biosphere in which all life lives. Based on our current cosmology, it is my conclusion that we live in a chaotic, nonlinear, complex coupled ocean/atmospheric adaptive system, with its own set of naturally occurring and human created cycles that interact to produce the climate variation we observe. This variation is not the simple linear relationship touted by the IPCC and repeated in apocalyptic tones by those who profit from its dissemination, but rather is a complex interplay of varying influences, that results in unpredictable climate variation. More about chaos and complexity in the next installment. IPCC thinks life is linear, but in fact it looks more cyclical. Could it be that climate activists are working on their own needs at the top two tiers, and want to impose their projects onto billions of people struggling with the most fundamental needs? The real world evidence such as revealed in the ice cores suggests that the Carbon Pollution Reduction Scheme is built on fraud. Dr. Smith produced an additional graph to display how temperatures have changed over the ages compared to the present and how measured CO2 varies in response to measured temperature changes. Of course, these estimates come from proxies since the timescale goes back through several ice ages. But the message from the ice cores is clear: Through the ages, CO2 responds to temperatures and not the other way around. The other message is also clear: Climates change between warm and cool, and warm has always been good for humans and the biosphere. We should concern ourselves with preparing for the cold times with robust infrastructure and reliable, affordable energy. Warming alarmists see no good coming out of rising CO2 and the current climate optimum, and their warnings extend to forests as well. So in love with their theory of global warming, they cannot see the forests as they are, and as documented in numerous research studies. Claim: Forest growth is diminished by higher CO2 and warmer summers. Fact: CO2 increases have improved forest health. Claim: Forest areas will be hard-hit by future droughts. Fact: No trend in droughts is discernible. Claim: Warmer temperatures increase damage from pests and pathogens. Fact: Enhanced CO2 is making forests more resilient to diseases and infestations. Claim: Old growth forests will not sequester CO2 as young forests do. Fact: Rising CO2 has given new life even to aging forests. Almost ALL C3 pathway vegetation (trees, bushes, wheat, rice and 95% of all plants) are CO2-starved except in extremely high rainfall environments like tropical rain-forests. They need to keep their CO2-absorbing stomata more open to get the CO2 they need but this also leads to more loss of water through evapotranspiration. As rainfall gets lower and lower, the 95% of plants that are C3 suffer more and more until they cannot even grow anymore. In low rainfall and low CO2, these plants are done, and the C4 pathway grasses take over. The C4 grasses are more efficient at absorbing CO2 so do not require as much rainfall. Even 10 inches per year is enough. But take anywhere on the planet where grasses are dominant, it is because rainfall is too low for trees and bushes, combined with CO2 being too low. Now ramp-up CO2 and the trees do better in these regions. In fact, they do better absolutely everywhere. Now ramp-up precipitation as well, as should happen in a warmer world, and we have forests everywhere and they grow better everywhere. Go back to the little ice age, when temperatures were lower and precipitation was lower and CO2 was lower, all plants grew at a lower rate and C3 crops like vegetables, wheat and rice probably failed regularly and people died of starvation. In the ice ages, when all these numbers were even far lower, our ancestors lived off the grassland herbivores because there were no trees or bushes and no fruit, nuts, wheat, or berries to be found. But there were lots of grass-eating herbivores like the Auroch which was the ancestor of today’s cattle. Our ice age ancestors were mainly meat-eaters. • We review information on US forest health in response to climate change. • We found that trees are tolerant of rising temperatures and have responded to rising carbon dioxide. • No long-term trends in US drought have been found in the literature. • CO2 tends to inhibit forest pests and pathogens. • Projections of forest response to climate change are highly variable. The health of United States forests is of concern for biodiversity conservation, ecosystem services, forest commercial values, and other reasons. Climate change, rising concentrations of CO2 and some pollutants could plausibly have affected forest health and growth rates over the past 150 years and may affect forests in the future. Multiple factors must be considered when assessing present and future forest health. Factors undergoing change include temperature, precipitation (including flood and drought), CO2 concentration, N deposition, and air pollutants. Secondary effects include alteration of pest and pathogen dynamics by climate change. We provide a review of these factors as they relate to forest health and climate change. We find that plants can shift their optimum temperature for photosynthesis, especially in the presence of elevated CO2, which also increases plant productivity. No clear national trend to date has been reported for flood or drought or their effects on forests except for a current drought in the US Southwest. Additionally, elevated CO2 increases water use efficiency and protects plants from drought. Pollutants can reduce plant growth but concentrations of major pollutants such as ozone have declined modestly. Ozone damage in particular is lessened by rising CO2. No clear trend has been reported for pathogen or insect damage but experiments suggest that in many cases rising CO2 enhances plant resistance to both agents. As important as are these facts about trees, however, there’s an even more important fact that comes into play in the case of forests and their ability to sequester carbon over long periods of time. This little-acknowledged piece of information is the fact that it is the forest itself – conceptualized as a huge super-organism, if you will – that is the unit of primary importance when it comes to determining the ultimate amount of carbon that can be sequestered on a unit area of land. And it when it comes to elucidating this concept, it seems that a lot of climate alarmists and political opportunists can’t seem to see the forest for the trees that comprise it. That this difference in perspective can have enormous consequences was demonstrated quite clearly by Cary et al. (2001), who noted that most models of forest carbon sequestration wrongly assume that “age-related growth trends of individual trees and even-aged, monospecific stands can be extended to natural forests.” When they compared the predictions of such models against real-world data gathered from northern Rocky Mountain subalpine forests that ranged in age from 67 to 458 years, for example, they found that aboveground net primary productivity in 200-year-old natural stands was almost twice as great as that of modeled stands, and that the difference between the two increased linearly throughout the entire sampled age range. The answer is rather simple. For any tree of age 250 years or more, the greater portion of its life (at least two-thirds of it) was spent in an atmosphere of much-reduced CO2 content. Up until 1920, for example, the air’s CO2 concentration had never been above 300 ppm throughout the entire lives of such trees, whereas it is currently 400 ppm or 33% higher. And for older trees, even greater portions of their lives were spent in air of even lower CO2 concentration. Hence, the “intervention” that has given new life to old trees and allows them to “live long and prosper,” would appear to be the aerial fertilization effect produced by the flooding of the air with the CO2 that resulted from the Industrial Revolution and that is currently being maintained by its ever-expanding aftermath (Idso, 1995). Based on these many observations, as well as the results of the study of Greenep et al. (2003) – which strongly suggested, in their words, that “the capacity for enhanced photosynthesis in trees growing in elevated CO2 is unlikely to be lost in subsequent generations” – it would appear that earth’s forests will remain strong sinks for atmospheric carbon far beyond the date at which the world’s climate alarmists have proclaimed they would have given back to the atmosphere most of the carbon they had removed from it over their existence to that point in time. And subsequent reports have validated this assessment. No doubt that forests are threatened by the human race, but it has nothing to do with CO2, which trees love. Urban and agricultural encroachments can and do cause loss of forest habitats. Pests and pathogens come and go in cycles, and their impacts can be mitigated by proper forest management. The 2015 Global Forest Resources Assessment was encouraged by the reduced rate of deforestation and the increasing quality and extent of forest management practices in many countries. Too bad so much effort and funding is wasted on IPCC circuses. David Ellard provides a thorough and timely explanation of the carbon cycle from first principles. His essay meets the standard for all speeches or papers: “A presentation should be like a woman’s dress–long enough to cover the subject but short enough to be interesting.” (OK I’m dated and not PC: the long enough part is passé). Since the subject is to describe the carbon dioxide fluxes and atmospheric residence timescales, the essay is necessarily long. It is made more lengthy by the need to untangle confusions, deceptions and obfuscations of CO2 science by IPCC partisans pushing CO2 alarms. 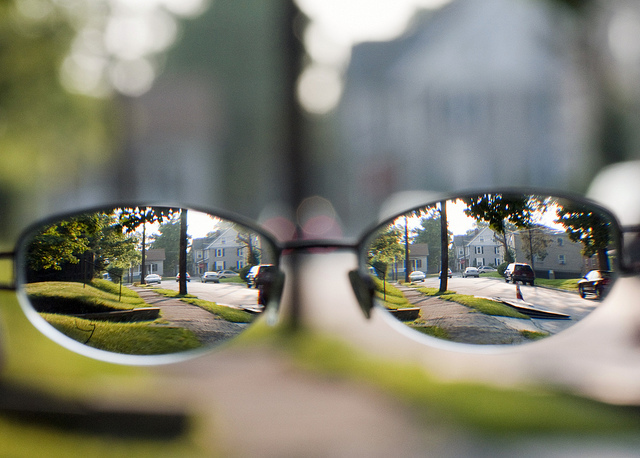 To completely remove the wool from your eyes takes a full reading and pondering. I will attempt a synopsis here to encourage interested parties to take the lesson for themselves. The experience reminded me of college classes I took majoring in Organic Chemistry, though in those days CO2 was anything but contentious. Several posts here (links below) have danced around Ellard’s subject, but his exposition is the real deal. Getting to the bottom of this issue, he explains how Henry’s law works regarding CO2 in the real world, makes an important distinction between CO2 molecules and ions, and factors in an accounting of the CO2 output from rising populations of humans and animals. One of the most controversial topics in understanding the build-up of carbon dioxide in the atmosphere is the question of timescales – the effect of the build-up depends not only on the amounts being released by human(-related) activities but also on how long the gas stays in the atmosphere. 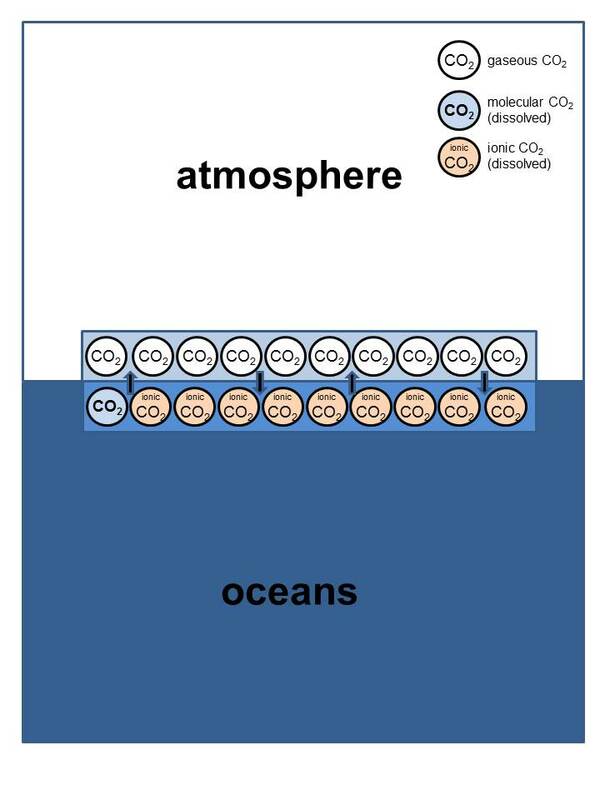 In fact much of the controversy/confusion stems from the fact that there are two relevant timescales, one which determines how the amount of carbon dioxide in the atmosphere equilibrates with other reservoirs (notably physical exchange with the oceans, and biological exchange via photosynthesis and respiration), and another which determines the exchange of carbon atoms. By analysing the amounts of a marker carbon isotope (carbon-13) it is possible to calculate these two timescales. The timescale for the amount of carbon dioxide is approximately twenty years, a significantly shorter timescale than often claimed (e.g. by the IPCC). From these figures, we can also deduce that the increased carbon dioxide in the atmosphere since the industrial revolution has led to a noticeable increase in the photosynthetic rate of the Earth’s plants and green algae (about 8%). This has clear implications for the on-going discussions on the costs, and indeed benefits, of increasing carbon dioxide levels. The reasons why the IPCC’s (and others’) estimates of carbon dioxide timescales in the atmosphere are overestimated are analysed – notably because no account is taken of changes in net respiration rates (ever more people, and domesticated animals, and animal pests that depend on them), because hydrocarbon usage by UN member states is underreported (quite possibly for reasons of political prestige), and finally because the models ignore the key empirical evidence (the carbon-13 isotope measurements). The purpose of this post is to try and explain the nature of the two timescales, and pin down using actual physical measurements (rather than computer games) the size of both. 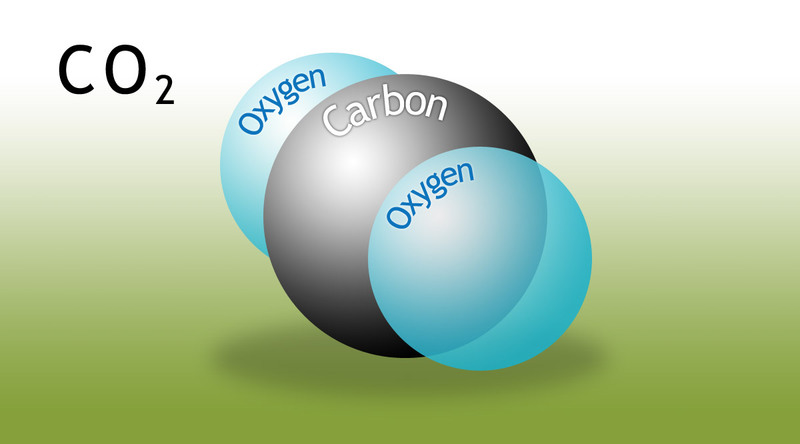 What Henry’s Law is telling us, then, is that when we add molecules of carbon dioxide to the atmosphere, these molecules will ultimately partition themselves (leaving aside the effects of the biota) in an approximately fixed ratio between atmosphere and ocean (the solvent). To rephrase then, for every six molecules of CO2 that are introduced into the atmosphere, five of the six (again ignoring biological processes) will end up in the oceans, only one of them will hang around in the air. Not only that but, as noted above, molecular CO2 is a very dilute solute in the oceans. At current rates, it would take tens of thousands of years for mankind to achieve saturation.The partition ratio 1:5 will continue to apply for the foreseeable future! The basic take home fact is that the ‘dissolved inorganic carbon’ or DIC in the world’s oceans is, in principle, a mixture of molecular carbon dioxide and dissolved carbonates. What is the ratio of molecular to ionic carbon dioxide? The smart among you will already have guessed: there is approximately 9 times as much ionic CO2 dissolved in the oceans as molecular. Only the latter is in Henry’s Law equilibrium with CO2 in the atmosphere. Hence the different ratios of 1:5 (atmospheric:molecular dissolved CO2) and 1:50 (atmospheric:molecular plus ionic dissolved CO2 i.e. DIC). So we can now recap. Before the exchange the atmosphere contained ten surplus marked molecules of carbon dioxide. After the exchange, there were still nine surplus molecules in the atmosphere, but none of them contained the marker! The ocean gained a single extra molecule of carbon dioxide but gained an extra nine atoms of marked carbon (and lost nine unmarked ones). Since the industrial revolution, the human population of this planet has exploded. Not just humans though. We also have caused an explosion in the number of domestic animals, sheep, pigs, cows and chickens and the like. And not just the intended results of human food production. There are a myriad rats, cockroaches, potato blight funguses and the like out there which depend for their existence on our (unintended) generosity. They are also all busy respiring carbon dioxide into the atmosphere, thanks to us. We have to take this into account, as well as any changes in photosynthetic fluxes (which have the opposite tendency, to reduce atmospheric carbon dioxide). I would need a whole other post to discuss this in detail, but I am simply going to assume that one third of the ‘excess’ carbon dioxide is not of hydrocarbon origin. The crucial point is that this excess CO2 will not have the distinctive carbon-13 marking. Its carbon-13 profile will be almost identical to (well, pretty similar to, we will ignore the difference for simplicity) that already in the atmosphere. So we are going to calculate the carbon dioxide adjustment timescale as a function of the deep ocean-surface mixing timescale but reduce the result by a third to take into account non-hydrocarbon anthropogenic CO2 emissions. If you object to this piece of fudging, by all means feel free to do the calculation without it. The current concentration of carbon dioxide in the atmosphere is 400 ppmv and is increasing by 2 ppmv/year. If the atmospheric adjustment timescale is 20 years then it means the oceans and biota are together absorbing 5 ppmv/year of the excess. Three quarters of this absorption is due to the increase in productivity of the biota and one quarter to the Henry’s Law re-equilibration in the oceans. So we can say that for every seven molecules of CO2 put into the air by mankind, of which just under five are from burning hydrocarbons, two accumulate there, one and a bit is dissolved into the oceans and just under four are reabsorbed by the biota via increased photosynthetic productivity. But to my mind the most striking result, if we bring the carbon-13 isotope evidence fully to bear, is the increase in photosynthesis that must have taken place over the course of the twentieth century. The Henry’s Law equilibration between atmosphere and oceans is simply too slow to get rid of much of mankind’s excess CO2. The fact that there is not a lot more of this CO2 still lingering in the atmosphere (and therefore that the proportion which is hydrocarbon-derived is not even smaller) shows us that the donkey work of mopping up (most of) the excess has been carried out by the biota – all the phytoplankton, trees, grasses and algae that give wide areas of our planet’s surface its distinctive green colour. David Ellard studied Natural Sciences at Kings College Cambridge with specialisations in mathematical and atmospheric chemistry. Since then he has worked over twenty years in the European Commission in Brussels in various science/technology/law-related areas, notably responsible for the Commission’s proposed directive on the patentability of computer-implemented inventions. Many thanks to David Ellard for this clear and readable treatise on established CO2 science, which still applies despite climate activists attempting to unsettle it. Before anyone takes a stand on CO2 and global warming, be sure to remove the wool from over your eyes.